Let me show you how to add android controls on top of unity activity in the unity application. 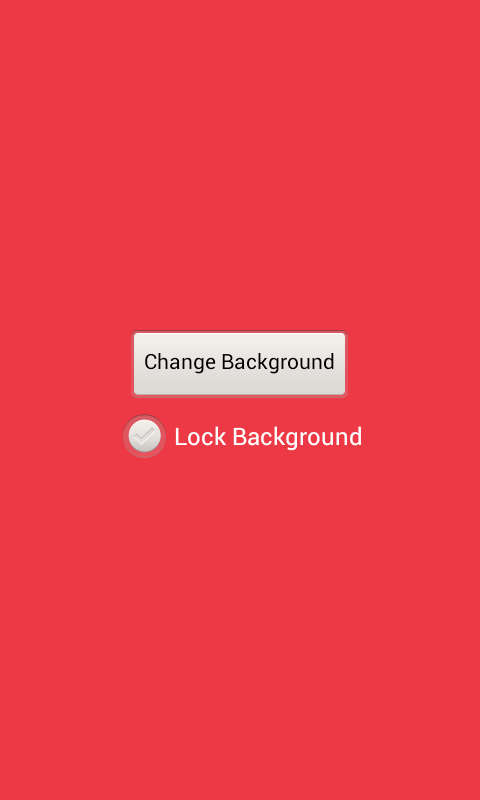 and checkbiox will be used to lock or unlock the background color chaning functionality. Let me create a simple layout xml file with a button and a checkbox. Button and checkbox will be displayed at the center of the screen. Java class does two thing. 2. Receves the event from button and checkbox and then pass it back to unity. Updated manifest file is shown below. Please note the change for meta data unityplayer.ForwardNativeEventsToDalvik, it is set to true. Create plugin folder for android, Assets\Plugins\Android. Copy the layout xml file, android_layout.xml, in to Assets\Plugins\Android\res\layout folder. The source code to display and receive event from the android ui is shown below. Can you tell me how can I use this C# source do I need to apply this on some object? If you want to use the script as it is then you can add this to a gameobject, though it is not necessary. You can call the methods which loads the android plug-in from any other script as well. Simple approach could be to hide your view by setting the visibility to View.GONE. Do you have any other activity other than the unity player activity?